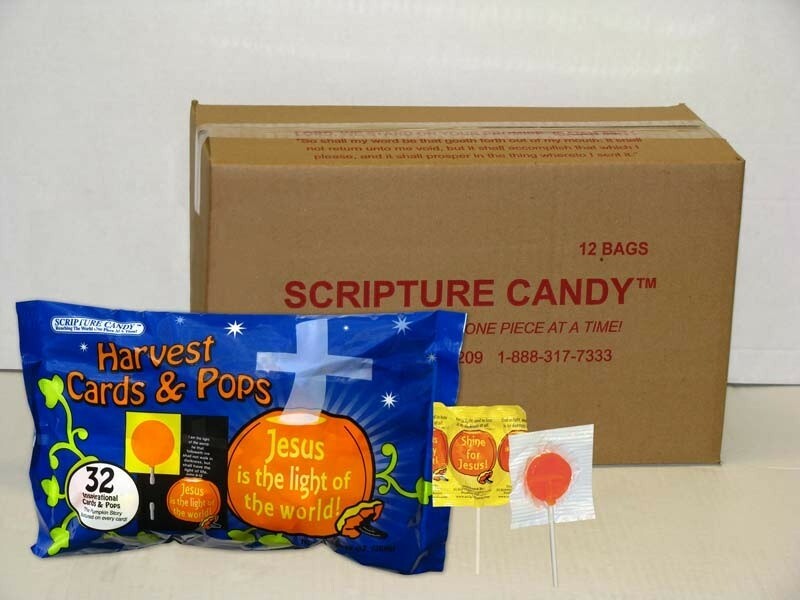 These Christian Candy lollipops are perfect for Halloween or Harvest - Fall parties. Each bag is filled with 32 inspirational cards and 32 orange-flavored pops. Each card has a special "Jesus is the light of the world" message on the front and a cute explanation of how Harvest Pumpkins are like Christians on the back. Each lollipop is individually wrapped in an inspirational scripture. Great for church harvest parties, School Halloween parties and passing out at your home to the trick-or-treaters.